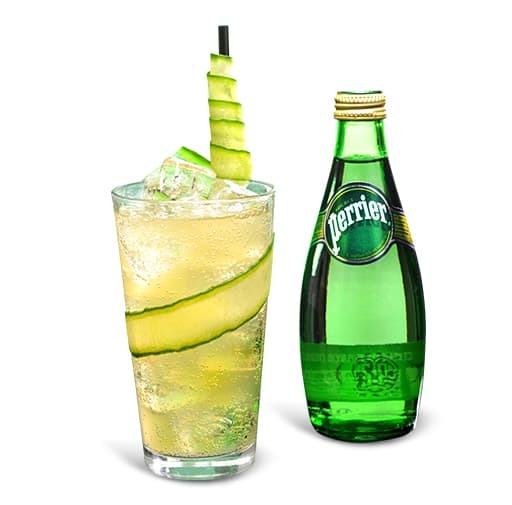 Very rich in taste and antioxydants, with a perfect mineral balance because of PERRIER, this cocktail is ideal to load energy during a morning break. Infuse the tea and let it cool down. 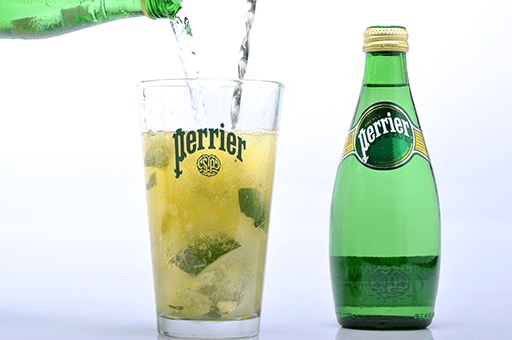 In a glass, muddle the fresh ginger to extract its flavors. 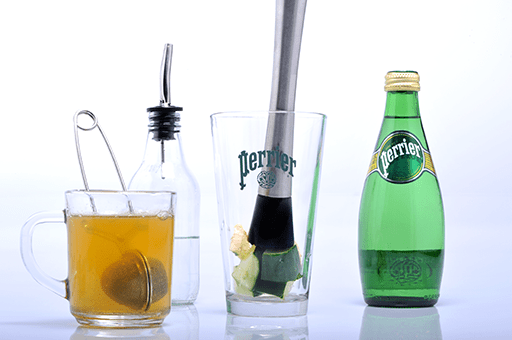 Once the ginger is well muddled, add the simple syrup, the tea, the lime juice and the cold PERRIER - Stir well using the bar spoon. Filter the cocktail into a tall glass filled with ice cubes. 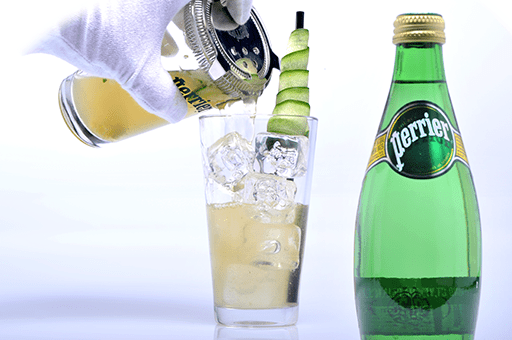 Garnish the glass with a long cucumber slice.